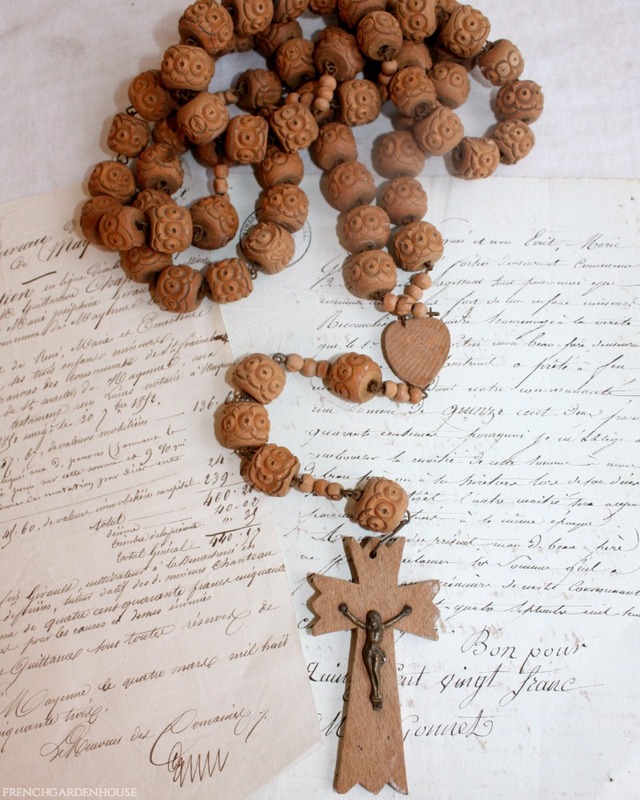 Antique French Nun's Souvenir Rosary. 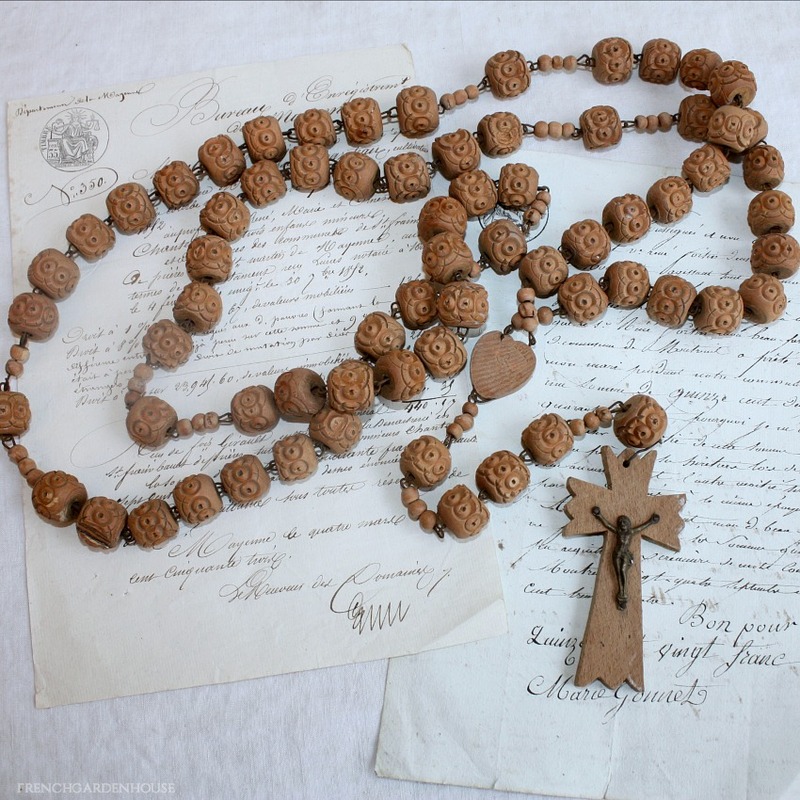 I love the old, old Nun's or Monk's Rosaries, worn around the waist daily for devotion. 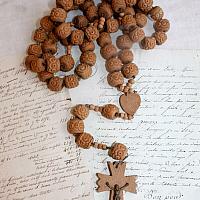 This particular large Rosary is special, it's a beautiful light color. What a wonderful find, gorgeous to display over one of your antique Santos, or a large Madonna, even an antique dress form mannequin. Made of wood beads, beautifully hand carved with floral designs. 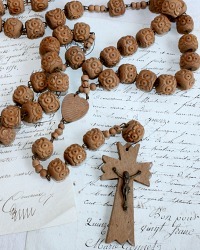 The beads are joined with rusty links, a beautiful carved wooden heart center seperates the crucifix element from the rest of the rosary. The cross is hand carved and with a mounted brass Christ on the front. A beautiful piece, for those of you who are devout collectors of religious antiques. The heart prays, the beads count. Often hung over a wife's bed in Provence for protection. Measures 66";the crucifix portion starting at the top of the heart hangs down 12". Cross measures 3-1/4" x 1-3/4.